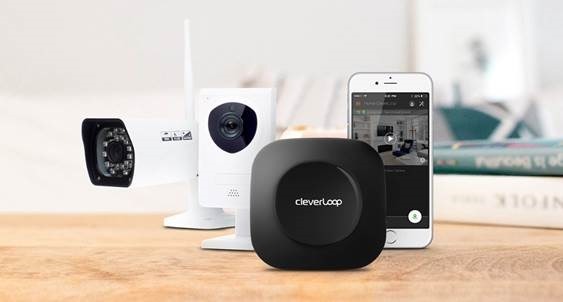 The CleverLoop security camera system is designed for homes and businesses wanting an affordable yet smart way of monitoring their property. As well as being clever by name, this security system is also clever by nature as it actually learns, with a little input from the user, what’s important and what’s not. 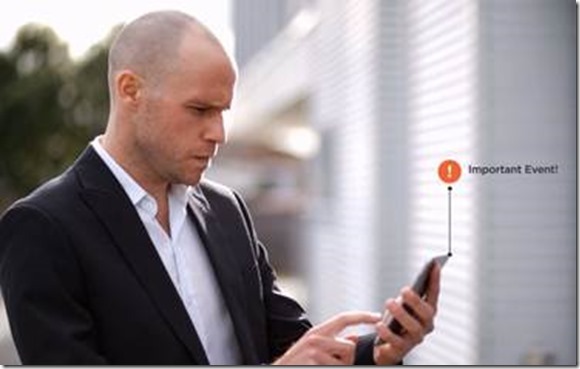 Important activities that justify an instant alert being sent to the CleverLoop smartphone app include people or vehicles, whereas movements that aren’t important, such as trees, pets and light changes, are ignored. This significantly reduces false alerts, a common issue with many camera security systems. 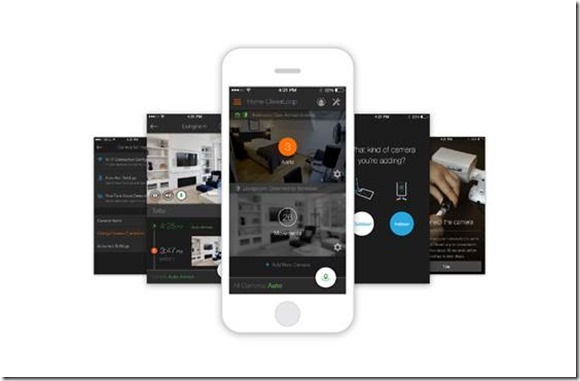 With users receiving live alerts that include video footage, CleverLoop can be used as a standalone smart home security system, effectively eliminating the need for a traditional burglar alarm. This type of active monitoring camera system is probably the next best thing to hiring a security guard to look after your place 24 hours a day! Most traditional monitored alarm systems in Australia cost $20 to $40 a month in monitoring fees, which adds up even in just one year. A major attraction of CleverLoop as a home security camera system, or indeed for business security, is that it doesn’t require a monthly monitoring service fee. Instead, you can keep an eye on your own property and possessions as your cameras are linked up with your smartphone, via a well-designed IOS / Android app. Via this app you’ll receive push notifications, which you can easily disable, to alert you whenever there’s activity in front of one of your cameras. The system records 10 second long video clips by default so you can see exactly what was in the camera’s view. You’re also able to quickly view real-time views from any of your linked cameras. Who Should be looking at the CleverLoop System? Everyone wants a safer home and CleverLoop’s smartphone app functionality makes it a versatile system that provides for burglary protection and much more. Use it to make sure the kids arrived safely back from school or as a ‘petcam’ to see how your pets are when you are out at work. Renters who want security solutions that won’t upset the landlord! You want better security for your family and possessions, though your landlord doesn’t want to fork out to alarm the house or have you damage walls when installing a security system, or removing it when the tenancy is up. Indoor cameras can simply sit on benches or bookcases without the need for screws, or can be fixed to walls using heavy-duty 3M removable sticky strips. Outdoor cameras are pretty heavy-duty and solid, so would need to be screwed in place. CleverLoop is ideal for smaller business looking for additional security without ongoing monitoring charges, especially as it can connect up to 4 cameras with a single Base Station. CleverLoop allows businesses to easily and affordably monitor behind counter staff, outside areas (especially after hours to prevent break ins or vandalism), loading/delivery areas and any other places where security is needed. CleverLoop has a painless and user-friendly setup, even for the non-tech savvy! No confusing and poorly explained instruction manual. Instead, you download the app onto your phone and follow a series of short 3-5 second clips to get you up and running. Indoor and outdoor high-definition cameras are both well spec’d and are connectable through data cable or WiFi. Coupled with a brilliantly designed app make this a genuinely smart security system. Click here to see the cool things the app does. The system has a geo-fencing function, which means cameras can be activated/de-activated when an app’s users phone is within a certain distance of the Base Station. This certainly reduces the chance of forgetting to activate your security system when leaving the house! If you’re looking for an affordable security system for your home or small business you certainly won’t find a better system available for $699. CleverLoop really does cover you for both a silent intruder alarm and security camera system which, if you had professionally installed, would be well over $1200. You can check out more details or pick up your own system on-line at www.cleverloop.com.au. They also provide free, express courier delivery throughout Australia on their systems and provide great customer support. I’am very particular on how secured is the cleverloop security camera system knowing that it is wireless.